Looks like a great find! Welcome to the site! Looks like "this old one owner" also loves Beezers! Welcome to the forum! Welcome demo!great bunch of guys and girl to help you along with your Chero! Welcome to the site Deeno. You will receive some great advice and knowledge. I´m Joerg and I come from Germany and I´m sorry about my school or translator english. Since now a little over two weeks I am proud owner of a 1977 Ranchero with the 351M/400 engine. Hello. Need a little help. 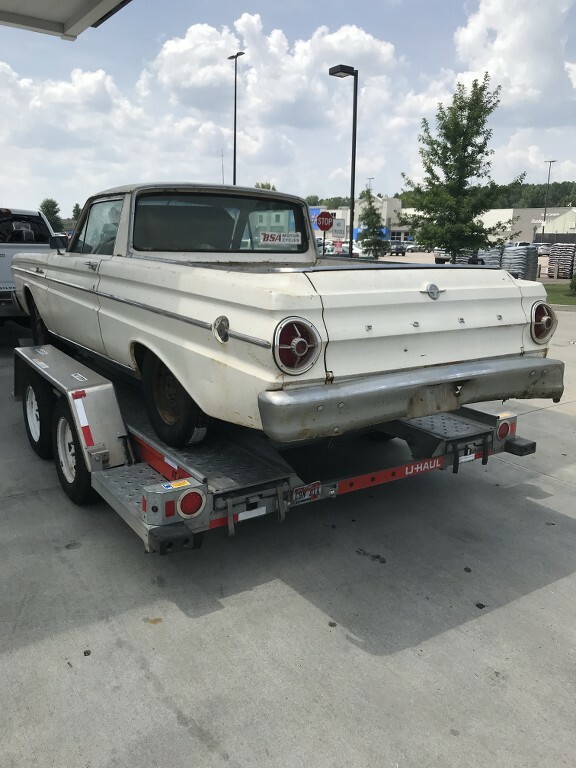 I'm going on a road trip later this week to pickup a big block '67 Ranchero I've purchased. There are some extra parts that I need to tie down in the bed. I plan to put a couple eye hooks in the place of the bolts that hold down the large removable piece in the middle of the bed. Here's what I need to know...what is the thread of the bolts that hold the piece in place? They will either be 1/4-20 or 5/16-18 SAE thread. 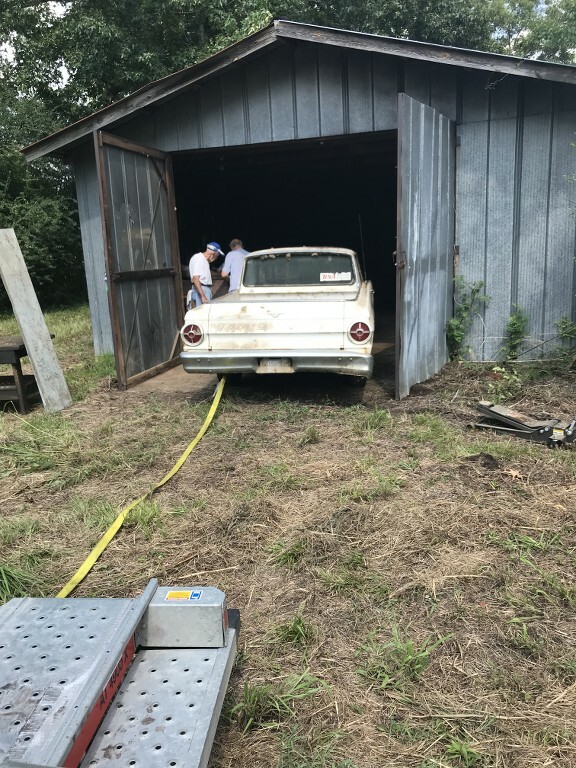 Just take one of the bolts out and take it with you when you go to purchase the eyebolts, and snag a thread tap and WD to chase the threads before putting the eyebolts in. Thanks for the info. I'll take both with me. The proper tool is a thread chaser. A tap is very likely permanently ruin rusty threads or break during the process. If they're anything like the ones in my '65, those are just cage nuts under there, and they're not all that sturdy. I tried using them to attach a temporary kayak rack to, without much success. They tend spin in their cages if you torque 'em too much. There are three tie downs, front-center of bed, one on each side in front of wheel well. These will hold the heavy stuff. The others just to hold some light stuff. Well, sorry to say, no sale. Lots of dings, chips and ripples in the paint. 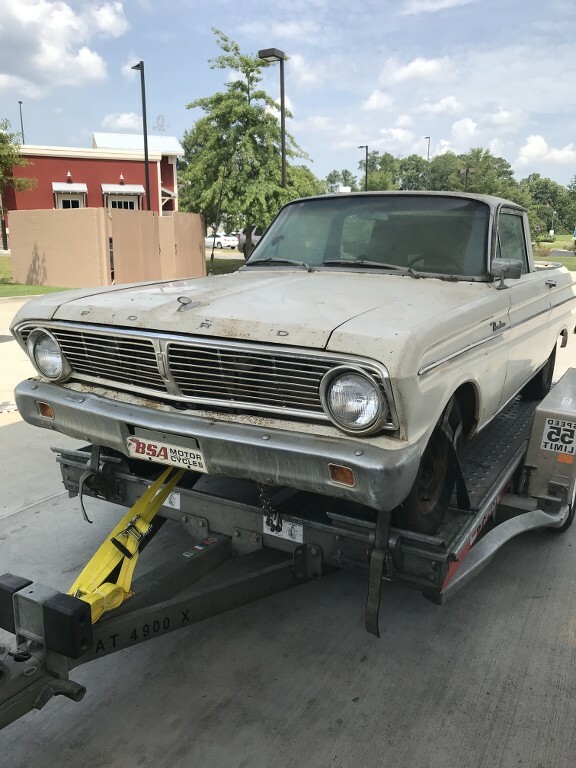 Stop lights didn't work, turn indicator didn't work, horn didn't work, padded dash and carpet was wrong color, dash chrome was pitted and the wiring in the engine compartment looked armature. I passed. 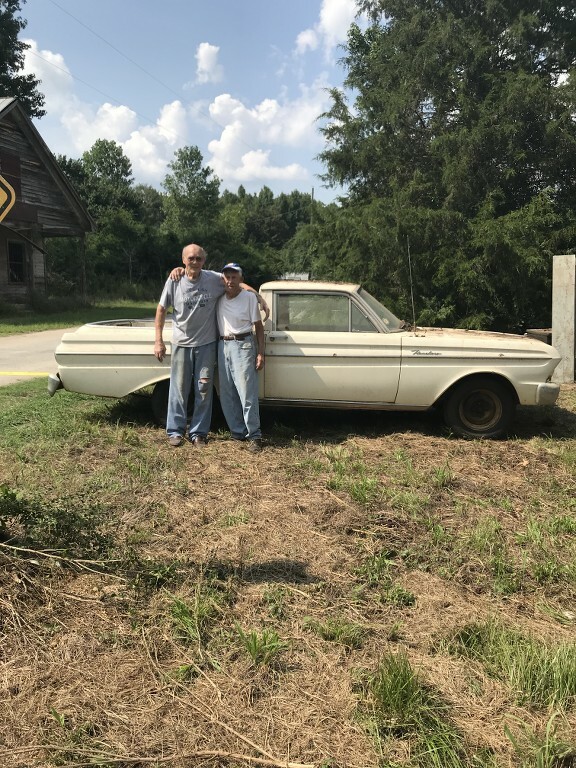 Bonjour je me présente Didier 50 ans je roule en rue Harley et en Ford Ranchero de 1977 bonjour à toutes et tous!